The gaming industry has experienced an upsurge in the number of entrants, with the number of mobile games ever increasing. The reason for the rapid increase in the number of developers can be attributed to a number of factors. The revenues from mobile games keeps growing steadily – as competition gets stiffer, companies have established newer ways of making revenues from mobile games, including subscriptions and through various location-specific advertisements. Moreover, developers have a higher turnaround, with some games returning more than $1 billion in a year. For instance, Pokeman GO (developed by Niantic) and Clash Rolaye (developed by Supercell). Also, quite a number of mobile games have returned more than $1 billion in lifetime revenues, such as Honour of Kings, Game of war, Candy Crash, Puzzle and Dragons, Clash of Clans among others. All these were released between 2012 and 2015. There is complex analytics that enables research on the behaviour of players – as opposed to the first years of development when the consumer was opaque to the developer, today, analytics from Google is easily available. These can be used in analysing the behaviour of players, and thus modifying the mobile game app to fit the target user. As such, games have become more challenging, relevant and addictive to play, thereby earning the developers higher revenues and encouraging better development. Sophisticated mobile devices (smartphones and tablets) are increasingly becoming available and affordable. More interesting games require greater capabilities that are only possible in sophisticated devices. These could only be afforded by a few people. However, cheaper smartphones are now available to everyone. There is a steady growth in the number of players – with the increased availability of smartphones also comes an increased number of people who own smartphones, and consequently increased number of mobile game players. 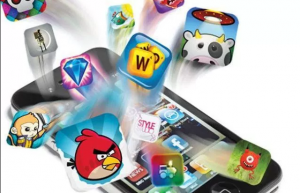 Companies are thus motivated to develop novel and more exciting mobile games.